Abandoned buildings do more than make great backdrops for photo shoots, and provide homes to homeless and ghosts alike, they make awesome canvases to anyone handy with a spray can. 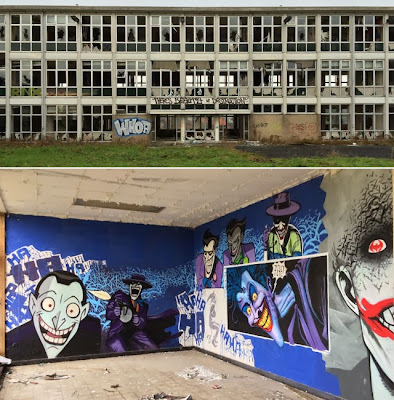 While no building is as imposing as Gotham City's Arkham Asylum, in Belgium, one close competitor has 'There's Beauty In Destruction' tagged across it's entry, and nothing could be more apt. Inside, it's walls are chocka with art featuring Batman and the Arkham inmates we all know and love - including whole walls dedicated to The Joker. I knew as a kid I set my imaginary fort up in the wrong place. 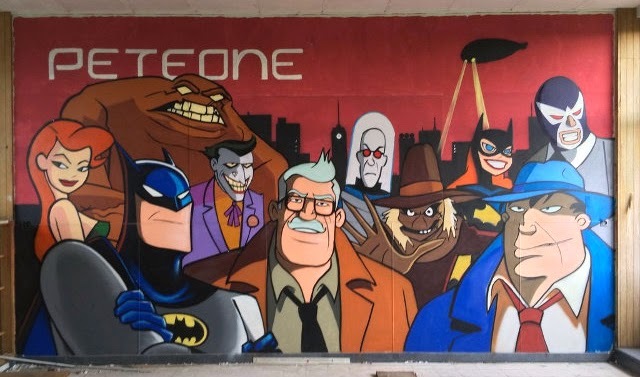 As the Jokers above show, Pete, the artist responsible for this 'Home Makeover' has taken inspiration from a wide range of artists across DC's past, from Jock and Jim Lee, to movie Dark Knight Rises and Bruce Timm's Batman: The Animated Series. Looking to move in yet? 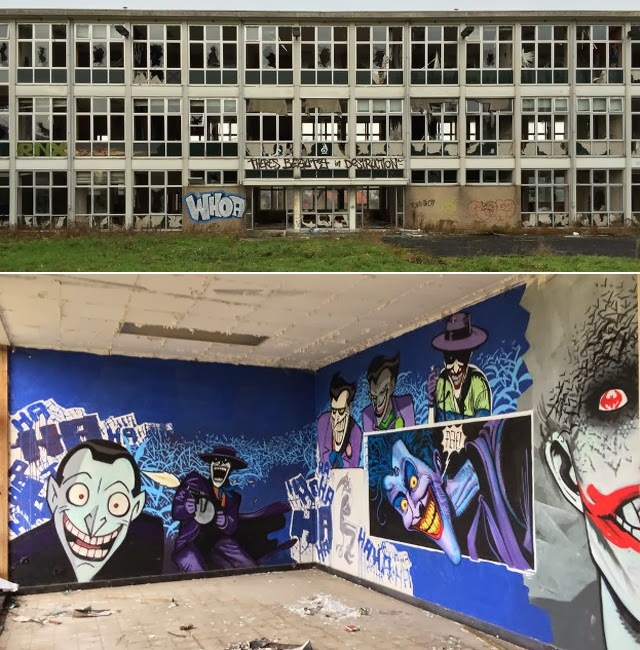 Discovered by Redditor sneakylawyer, while "urban exploring", these feature walls would make an amazing backdrop for some modern offices, should the building ever find future tenants. To paint this over or (gasp) knock it down would be truly insane - especially as we haven't seen Riddler or Two-Face yet! Yeah, suddenly the walls around me just don't look like they are living up to their potential anymore.